Fairdale High School’s mission and primary goal is preparing each student for postsecondary education. 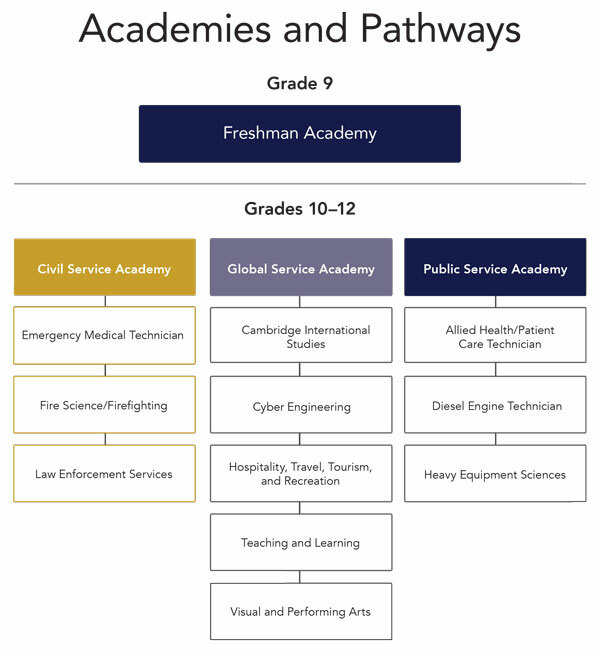 Fairdale offers magnet programs for vocations, such as heavy highway construction and community emergency services (police, fire, and EMS). Fairdale High School is located in Fairdale, KY. Opening its present-day school doors in 1958, Fairdale High School graduated its first class in 1962. The mascot is the bulldog, and its school colors are royal blue and gold. The community of Fairdale, once known as Mann’s Lick, is now considered a neighborhood located within the boundaries of Louisville Metro. Academics include magnet programs and four professional career theme programs to provide students with opportunities to develop and apply the skills necessary to serve society and enhance the overall quality of life.